Looking for something fun and exciting to do this Saturday? Then come out and enjoy the Nocatee Farmers Market from 10 a.m. – 2 p.m. at 245 Little River Road Ponte Vedra, Florida 32081. The market features more than 70 vendors that offer a wide variety of selections including the freshest locally grown produce and herbs as well as homemade jams, jellies, home baked goods, hand stitched quilts, art and pottery items. It also includes activities, shows and demonstrations with a new and unique theme each month that the entire family will enjoy. 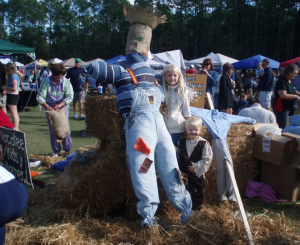 The Nocatee Farmers Market is held the 3rd Saturday of every month and is open to the public. For more information visit www.nocatee.com.